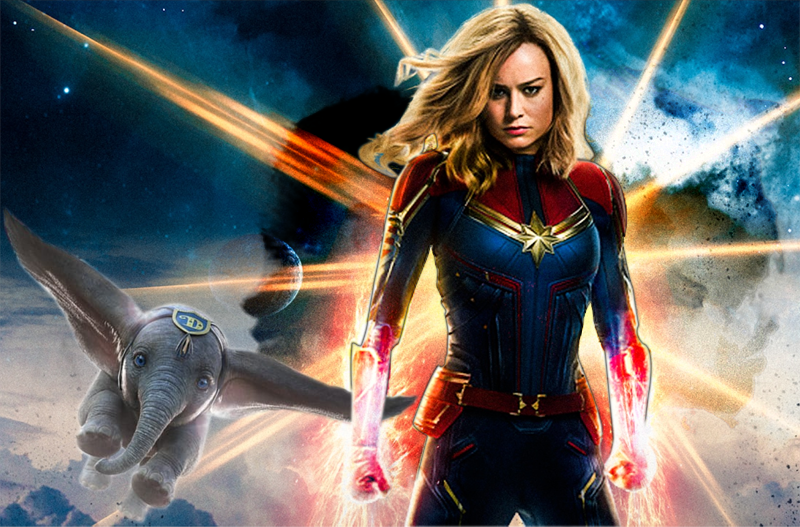 Captain Marvel is the heavy favorite to win March at the box office even if its gross is ho-hum by Marvel’s standards. Avengers: Infinity War’s cliffhanger continues to have a chokehold on the rest of the franchise with the inability to include established supporting heroes and audience’s hearts elsewhere. Look for a run in the range of 100 million opening and 300 million total but to fall short of Wonder Woman unless the word of mouth is through the roof. Jordan Peele’s Us will benefit from Get Out’s good will not just being an all time event film for black audiences, but appealing to white audiences who loved that film as well. Look for an opening potentially over Halloween’s 76.2 million. It should have no problem beating Get Out’s 176.0 million even before considering if he delivers another instant classic. Dumbo will likely open the smallest of the three at 40 or 50 million but have strong legs if Tim Burton delivers in quality. With less people remembering the original its appeal relies less on repackaging than Disney’s other live action remakes but a high profile director and cast will benefit it. Look for it to challenge 200 million and upset Mary Poppins Returns and potentially Aladdin. After the big three March falls off quickly. Wonder Park on paper had animation franchise potential but looks like its appeal will stick to kids and open under 20 million. Five Feet Apart looks as similar to The Fault In Our Stars as No Strings Attached and Friends With Benefits. Tyler Perry’s A Madea Family Funeral surely is a harder sell than his lighter settings. Captive State is socially relevant but likely to have buzz taken by Us. Unplanned is potentially the sleeper with the writer of the 60.8 million grossing God’s Not Dead stepping behind the camera and turning his attention to the abortion issue.